1. Abel Danger (AD) claims that Hillary Clinton’s aides have been recruiting special ops personnel and crisis actors to stage mass-casualty events through MI6 agents in the London’s Corinthia Hotel building owned by Malta’s IHI plc, the Libyan Foreign Investment Company and Nakheel Hotels of Dubai, and production crews from Eon Productions, the Bond movie production company. 2. 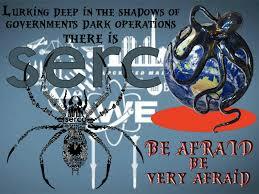 AD claims that Serco has linked the Clinton Foundation to 8(a) servers on the Defense Red Switch Network so pay-to-play donors can stage special ops attacks such as the one on the Corinthia Hotel in Tripoli in January 2015 with media plays by crisis actors. 3. 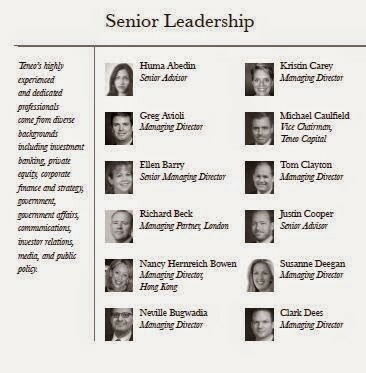 AD claims that Serco – formerly RCA GB 1929 – procured a mortar for a ‘Skyfall’ attack on the CIA annex in Benghazi in 9/12/2012 from the Blue Mountain special ops group which Clinton aides had allegedly hire and booked into the Corinthia Hotel in Tripoli. 4. United States Marine Field McConnell can explain to Donald Trump how to dismantle Serco’s Red Switch Network; how to bring the Clinton Foundation insiders to justice and how restore the ability of the president of the United States to defend America against all enemies domestic and foreign. CBS News: When Chris Stevens was killed in Benghazi, Libya, on the anniversary of September 11th last year, it was only the sixth time that the United States had lost an ambassador to its enemies. The events of that night have been overshadowed by misinformation, confusion and intense partisanship. But for those who lived through it, there’s nothing confusing about what happened, and they share a sense of profound frustration because they say they saw it coming. Tonight, you will hear for the first time from a security officer who witnessed the attack. He calls himself, Morgan Jones, a pseudonym he’s using for his own safety. A former British soldier, he’s been helping to keep U.S. diplomats and military leaders safe for the last decade. On a night he describes as sheer hell, Morgan Jones snuck into a Benghazi hospital that was under the control of al Qaeda terrorists, desperate to find out if one of his close friends from the U.S. Special Mission was the American he’d been told was there. ……………………………..
…. The same force that had gone to the compound was now defending the CIA Annex. Hours later, they were joined by a small team of Americans from Tripoli. From defensive positions on these rooftops, the Americans fought back a professional enemy. 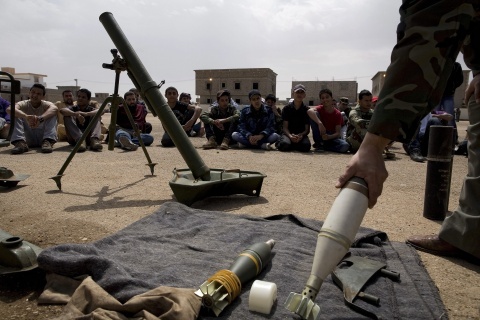 In a final wave of intense fighting just after 5 a.m., the attackers unleashed a barrage of mortars. Three of them slammed into this roof, killing former Navy SEALs Tyrone Woods and Glen Doherty. “The Corinthia Hotel London, at the corner of Northumberland Avenue and Whitehall Place in London, is a luxury hotel and former British Government building, located on a triangular site between Trafalgar Square and the Thames Embankment. Originally built as the Metropole Hotel, its location close to the Palace of Westminster and government offices in Whitehall meant it was commandeered in both world wars. After the Second World War, it was purchased by the Ministry of Defence and used as government offices until it was declared surplus to requirements and sold by Crown Estates in 2007. It was then restored as a hotel and renamed the Corinthia Hotel London, a combination hotel and residential building. The hotel was requisitioned in the run-up to World War I to provide accommodation for government staff, together with the other hotels and buildings in Northumberland Avenue, including the Constitutional Club and the offices of the Society for the Promotion of Christian Knowledge. About to hand back the building, the government extended the lease by again requisitioning the building in the build-up to World War II. Again a home for various departments, room 424 became the first home for MI9 and its sub-division the Special Operations Executive, and later the holding point for one of the model planning beaches for Operation Overlord. Purchased from Gordon Hotels after World War II, it was transferred to the Crown Estates portfolio. Controlled by the Ministry of Defence, who used it as an overflow building to its main Whitehall complex, by 1951 the Air Ministry was again a major occupant. From the mid-60s until 1992 it housed the bulk of the Defence Intelligence Staff, the remainder of the analysts and the DIS central staff being sited in the MoD Main Building. In the James Bond comic strip in the Daily Express the artist Yaroslav Horak quite often depicted the Metropole Building as MI6 HQ. Subsequently the MoD used the building during various refurbishments, when the mirrored ballroom provided the setting for Press Conferences and other major events. In a nod to its past, the official announcement of the James Bond movie Skyfall was made at a press conference held at the Corinthia Hotel on 3 November 2011. Having stood unoccupied since 2004, in 2007 the Metropole Building and the adjoining 10 Whitehall Place were acquired for a sum of £130M by a consortium owned equally by Malta’s IHI plc and two of its principal shareholders, the Libyan Foreign Investment Company and Nakheel Hotels ofDubai. In September 2008 City of Westminster council approved development of the two buildings as a hotel and residential complex. A dedicated security professional with over 13 years exemplary service in the British Army and 6 years in the Security and Risk Management sector. Consulting, training and performing executive protection duties, in both hostile and none hostile environments. Conversant on many levels, an adept multi-tasker and dynamic risk assessor, who’s calm, confident and able to make quick exacting decisions should the need arise. Training and mentoring consultant for the Corinthia Hotel in Tripoli. Training of the hotel security team and providing security briefings to visiting corporate clients. Liaising with hotel management and visiting security teams to ensure a secure working and living environment for all visitors and guests. Accountable for the training, securing and security of varying types of ships around the Indian Ocean, to counter piracy attacks. Regular training of crews involved detailed defensive planning of the ships and the emergency procedures to be carried out should an attack occur. October 2007 – December 2010 (3 years 3 months) Helmand Province, Afghanistan Responsible for the protection of British Foreign and Commonwealth Office personnel including the British Ambassador, Members of Parliament, British Security Services, Police Mentors and the full array of Embassy support staff. In addition operating in Forward Operating Bases located in Garmsir and Nad E Ali to assist FCO stabilisation and political advisers. United Kingdom for the summer, over a period of four years. Carrying out a full spectrum of CP duties. Assigned to the Royal Military Police (RMP) Close Protection Team, responsible for the security and protection of the British Commander of European Forces in Bosnia. Operations took the team extensively throughout the Balkan regions by land and air. Liaising and working with local and other European forces. Deployed to Iraq with the RMP Close Protection Team assigned to the Senior British Military Representative Iraq, and all visiting British Government Officials based in Baghdad. The position held was that of Principal Driver, and at times team member on the ground, requiring us to operate the length and breadth of Iraq by both vehicle and helicopter, gaining a comprehensive insight into the region. Principal PMS driver assigned to the RMP Close Protection Teams operating throughout Northern Ireland. Our duties were to protect high profile senior Military Commanders and visiting Dignitaries. Heavily involved in the training and selection of new CP team members focusing on the driving skills and techniques required for operating armored and high-powered cars. “Based in Malta, Corinthia Hotels International Limited (CHI Limited), trading as CHI Hotels & Resorts, is a hotel management company that provides technical assistance and management services to hotel owners worldwide. CHI is the exclusive operator and developer for the luxury Corinthia Hotels brand in Europe, Africa and The Middle East. CHI also operates various restaurants under brands such as ‘Rickshaw’ and has its own Spa division. CHI Hotels & Resorts is wholly owned by, and the operating arm of, International Hotel Investments plc (IHI). Corinthia Hotels is a brand of luxury hotels founded by the Pisani family of Malta through the incorporation of Corinthia Palace Hotel Co Ltd. in 1966. The Brand is present in luxury hotels in key gateway cities such as Budapest, Prague, St. Petersburg, Lisbon, Malta and Tripoli. Landmark projects under the Corinthia Hotels brand are now under development in London, England, Sharm El Sheikh, Egypt and Benghazi, Libya. Corinthia branded hotels are exclusively managed by CHI Hotels & Resorts. 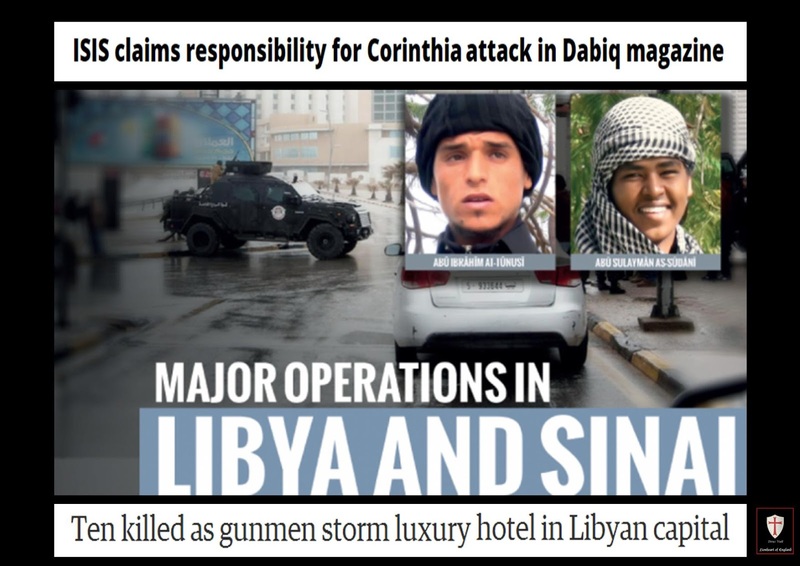 “In January 2015, the Corinthia Hotel in Tripoli was attacked by men affiliated with the Islamic State of Iraq and the Levant (ISIL).The hotel was popular with foreign officials and government workers; it had previously housed the Libyan Prime Minister. From Wikipedia, the free encyclopedia Justin Cooper was a senior adviser to Bill Clinton, former President of the United States. Justin Cooper first worked within the Office of Science and Technology before later becoming an aide for former President of the United States Bill Clinton. A native of Pennsylvania, Cooper is an alumnus of Upper Dublin High School and earned a Bachelor of Arts degree from the American University with a major in Interdisciplinary Studies of Communication, Law, Economics and Government. While working for Clinton, Cooper attended Fordham Law School where he earned a Juris Doctor in 2008.
Cooper began working in the White House as an intern in the Office of Science and Technology Policy and later in the Oval Office. He was later hired as a Staff Assistant for Oval Office Operations. Clinton asked Cooper, along with Doug Band, to move to New York to play a critical role in his post-presidential activities. Cooper is frequently credited with assisting President Clinton in editing and recounting his autobiography detailing his formative years and tenure as President in his memoir My Life. President Clinton notes Cooper’s critical role in the formation of the memoir in the first sentence of the book’s “Acknowledgments.” Cooper was integral in transforming Clinton’s those thoughts into an organized narrative. He played a similar role on Clinton’s second book, Giving. Cooper who has a close working relationship with Secretary of State Hillary Clinton and her senior most advisers since their White House days, including Cheryl D. Mills [Meet the mastermind behind Hillary Clinton’s massive email cover-up] and Huma Abedin, is often responsible for briefing and advising the President on a range of issues including finances, business matters, public relations, politics, the Clinton Family Foundation and the Clinton Foundation‘s initiatives as well as the Clinton Global Initiative. Cooper was named as the Registrant for Clinton’s home based email server, clintonemail.com, as of 11-14-2013. In addition to his noted role in the publication of Clinton’s memoirs, Cooper is also a frequent travel partner of the President. Most notably, Cooper accompanied the President’s delegation to North Korea when Clinton successfully secured the release of two American journalists, Laura Ling and Euna Lee, in August 2009.    Cooper serves on the governing board of theAmerican University of Dubai. Innoventor, Inc., which was founded by MechSE alumnus Kent Schien, has been named ‘National Small Business Prime Contractor of the Year’ by the U.S. Small Business Administration. Schien’s company was selected from among nine regional prime contractors to receive the award in recognition of the company’s outstanding service as a prime contractor of goods and services to the federal government.